This post is sponsored by Best Buy. All opinions and love of the LG SUPER UHD TV are my own. I’ve been waiting on a new TV for awhile. My wife kept making me hold off, because we had bought two new TV’s over the course of 18 months. The problem was… I didn’t like either of them. They were WAY BELOW my expectations. I recently got the go ahead to upgrade and I am crushing on my new TV. The LG SUPER UHD TV makes other Smart TV’s look dumb. I wanted a state of the art, knock your socks off, sit in awe for hours kind of television. 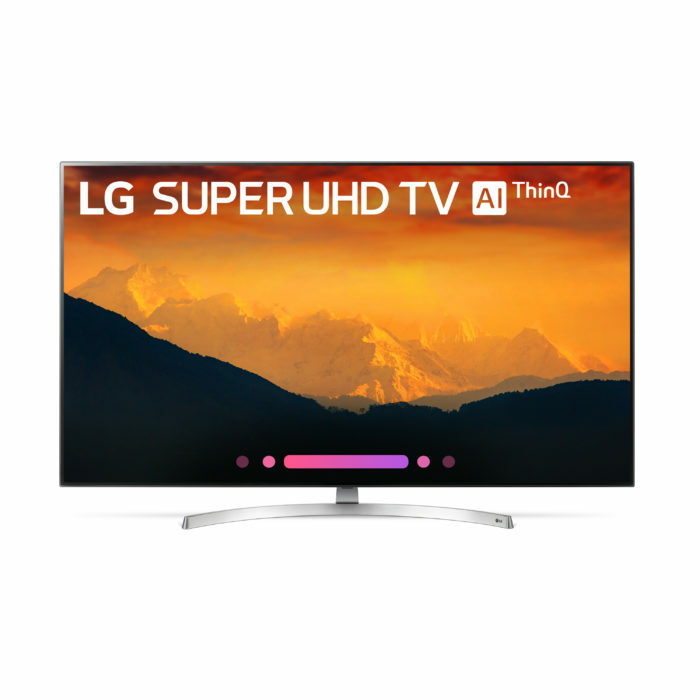 The LG SUPER UHD TV is a dream come true for me. The second I plugged it in and started to set it up, I knew I had made the right decision. 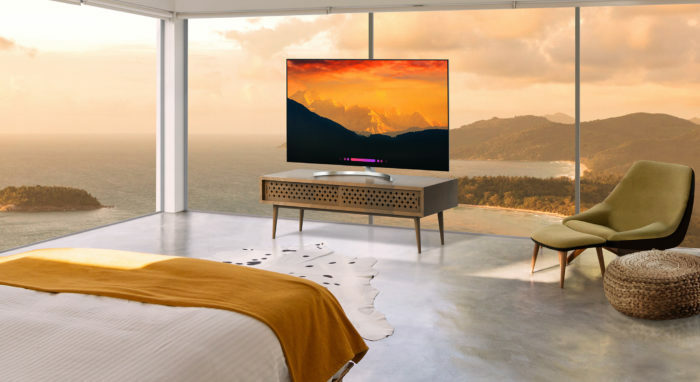 The new LG SUPER UHD TV with AI (Artificial Intelligence) ThinQ® will quickly become the center for your smart home. It uses Intelligent Voice control. You simply speak into the LG Magic Remote to pull up family photos, control light settings, check the weather and much, much more. Here are a few of the things that make the LG SUPER UHD TV special. The α7 Intelligent Processor provides a more lifelike picture with superior depth, sharpness, and remarkably accurate color. Previously available only on LG OLED TV, α7 is now inside LG SUPER UHD TVs with AI ThinQ, enhancing 4K HDR content for a truly cinematic experience. Full array local dimming results in better picture quality. This more precise local dimming control enhances the contrast and maintains deep black levels while reducing light bleed. Nano Cell™ Display has an expanded color gamut to deliver truer colors. It also absorbs unwanted light and reduces reflectivity to assure deeper black levels, even at a wide viewing angle. Picture quality becomes even more dynamic with Ultra Luminance Pro, which uses smart power distribution technology to boost peak brightness even higher. This increases the overall contrast ratio to give movies and TV shows a bold appearance not previously possible. The LG SUPER UHD TV is AMAZING!!! It’s the kind of TV that is built for people who love TV’s. Make Sure To Go To Best Buy And Pick Up Your LG SUPER UHD TV!! This is a sponsored post. all opinions and love of the BOSCH 100 are my own. 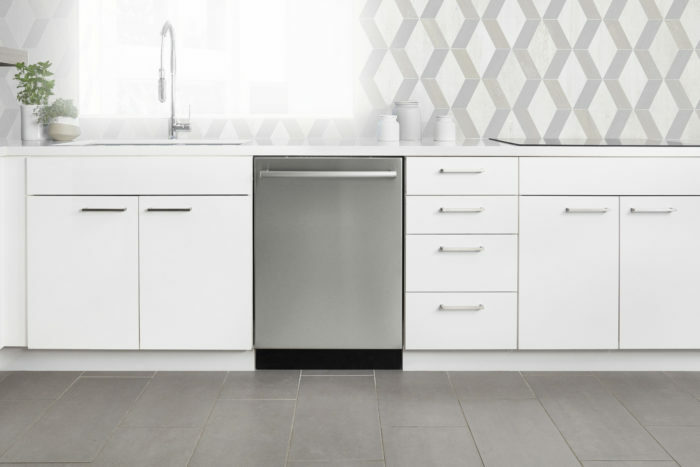 You read that right… I’m actually excited about a dishwasher! Ever since I bought a home, any kind of new gadget or appliance gets me going. Especially when it’s a new tech spin on a traditional product. My kitchen is going to get a major upgrade with the BOSCH 100 . 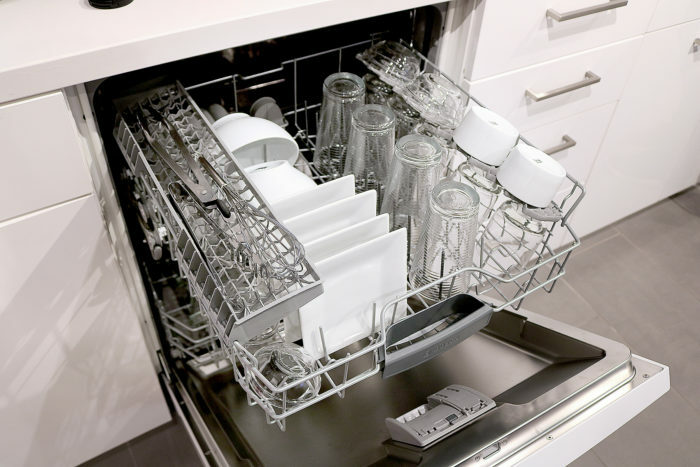 Bosch is already regarded as the World’s #1 Dishwasher brand. 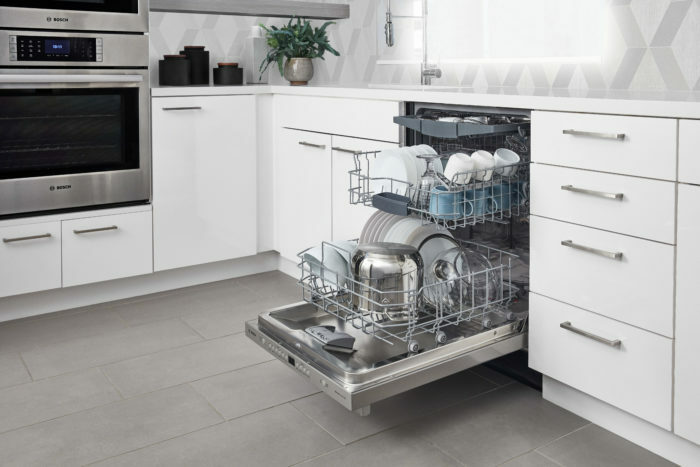 The leading consumer publication recently rated Bosch as the most reliable dishwasher brand with the lowest repair rate. They have a variety of designs and door handles available to fit any kitchen. Also, the 3rd rack adds 30% more loading area. The Adjustable Rackmatic™ rack provides 9 adjustable positions giving maximum loading flexibility. The fingerprint-resistant stainless steel helps guard against smudges, fingerprints and is easy to clean. The Utility rack is the perfect place for hard to place items like that last whisk and opens up space on the upper rack for the rest of your dishes. Your kitchen and home deserve quality. In their factories, they perform 485 quality checks on every dishwasher to ensure lasting performance in your home. It’s also the quietest dishwasher in the U.S. The BOSCH 100 is the perfect blend of technology and quality. We all hate doing the dishes and I doubt that will ever change. But, the BOSCH 100 will stop making dishes a chore! You Can Check Out Them Out At Your Local Best Buy! My wife recently visited Ecuador and the Galapagos Islands. Over the course of two weeks she took close to 800 pictures and videos. It’s understandable… How often are you going to find yourself in such an exotic locale?! When she returned, she swore that she would never take a trip like that without an external USB. So, we decided to include SanDisk in our travels. 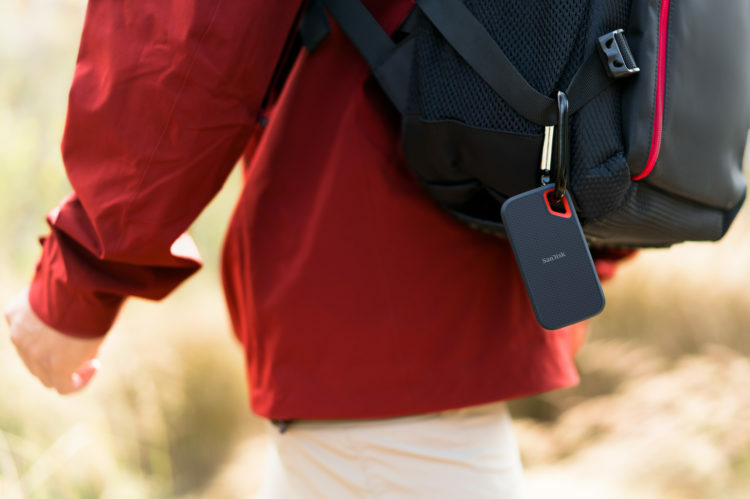 The new SanDisk External USB is perfect for anyone who travels and is looking for a reliable option that will hold all of your pics and videos. 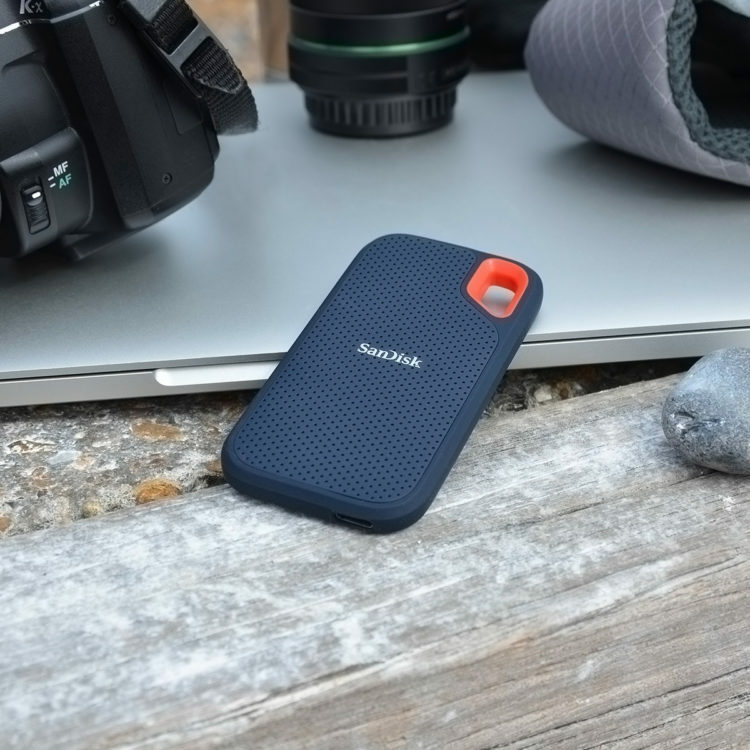 This SanDisk Portable hard drive has all the features that we were looking for. It’s also compatible with a PC or a MacBook (We have both!). It also has 1TB of storage space… Yes, you read that right! That’s more than enough space for anything that we need to store. The drive is also equipped with a USB Type C and Type A cable. It has up to 550MB/sec. read speeds that will enable a rapid response when we’re updating our files. And because we will be traveling with it, there are some features that are an absolute must. 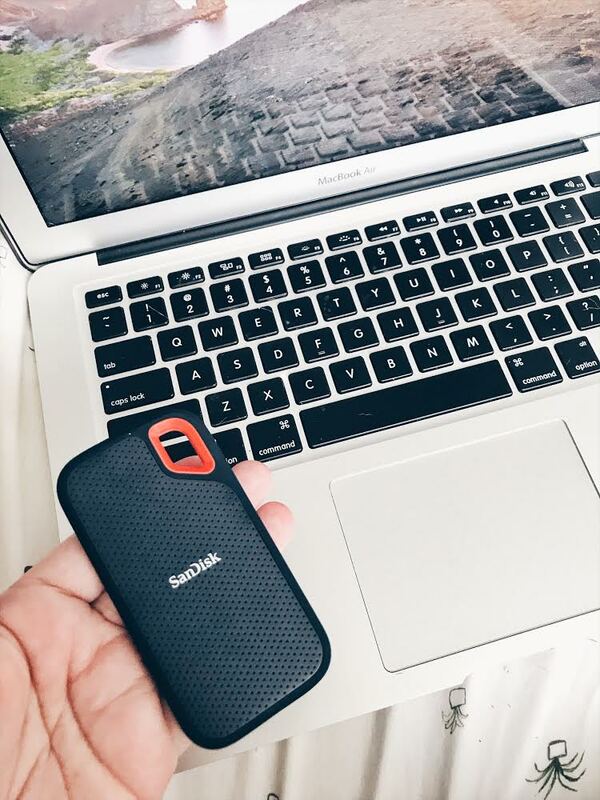 The SanDisk has a water and dust resistant design that boasts an IP55 rating and stands up to rain, splashes, spills and dust. We also love the shock-resistant solid-state core because it offers rugged durability and reliable performance that we need. This post is sponsored by Best Buy, All opinions and love of the BLAST and MEGABLAST speakers are my own. I live in South Florida and summer weather doesn’t leave here until, well, almost never. We’re always outside, grilling and enjoying the sunshine. My fam is also big on listening to good tunes and we love to have the music going on the back porch when we’re hanging out. 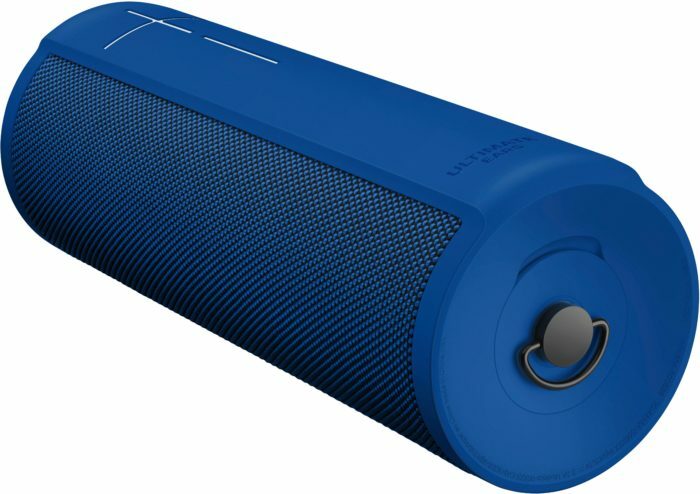 Unfortunately, most portable speakers are weak and have no UMPH! I like my speakers portable and powerful. The BLAST and MEGABLAST speakers are going to take your portable listening to a whole different level. 360° intensely rich sound, stunning clarity and deep, heart-pounding bass. Water-resistant. It can be immersed in liquid up to 1m for up to 30 minutes. Multiple microphones, beam forming technology and noise cancellation. It is Ultimate Ears most powerful speaker with stunning clarity and deep, heart-pounding bass, brings music to life. Enjoy up to 16 hours with a large built-in battery. Play and charge the speaker simultaneously using the optional cradle or included wall charger. You can now control volume remotely from the Ultimate Ears app and they have some more amazing updates coming soon. Voice control on Spotify and more: Ask “Alexa, play my Discover Weekly” or any music from Spotify on MEGABLAST and BLAST. 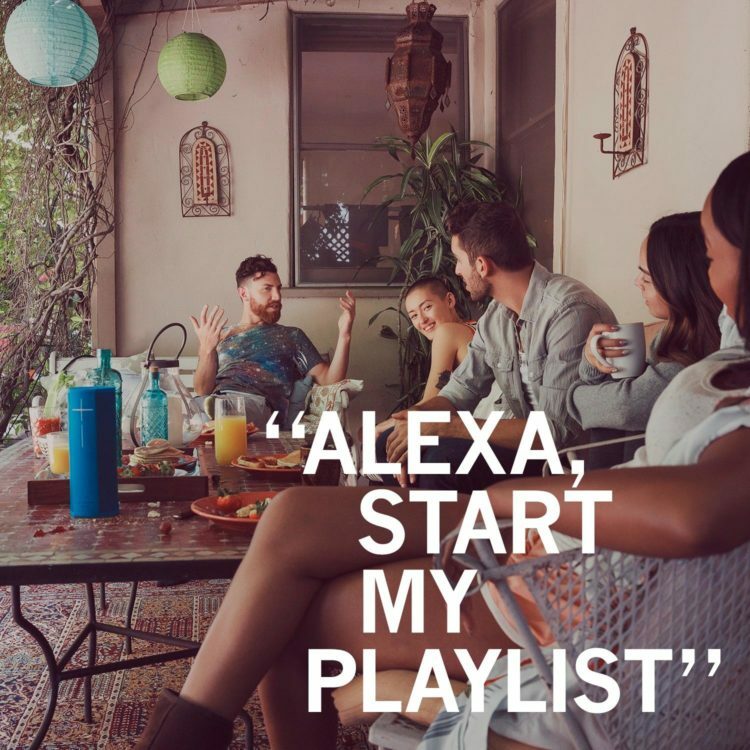 Spotify will soon join other Amazon Alexa supported music services such as Amazon Music, Deezer and TuneIn globally; and Pandora, iHeartRadio and SiriusXM in the U.S. – use your voice to control music from these streaming services over Wi-Fi. On Bluetooth, you can enjoy music from any of your favorite music services. A better way to listen with Spotify Connect: BLAST and MEGABLAST speakers will be the first Ultimate Ears speakers to integrate Spotify Connect. When on Wi-Fi, open the Spotify app on your phone and play music directly to our speakers (under “Devices Available”) without the need to pair through Bluetooth. Music fans can also stream the highest quality sound possible from Spotify. With Spotify Connect, text message or make calls without interrupting the music and save your phone’s battery. New grouping experience for smart speakers : You can group up to eight BLAST and MEGABLAST speakers on Bluetooth and Wi-Fi. Stereo mode is supported when you connect two BLAST and MEGABLAST speakers. Optimized to take advantage of the speakers’ built-in Wi-Fi capability, Grouping is expected to be available later this year. If you’re not ready for summer to end… BLAST and MEGABLAST are perfect for you! This post is sponsored by Best Buy. All opinions of the Best Buy Photography Workshop Tours are my own. 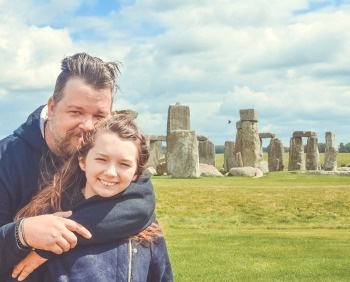 As you may have noticed when you look at my site… there are a lot of pictures! It’s how I tell a good portion of my stories. The words and images need to come together and engage (you) the reader. Taking a picture is as easy as pointing the camera and pressing a button— NOOOOOOO IT’S NOT!!!! There is so much that goes into the art of photography. You have to learn the ins and outs of the camera that you own and develop an eye for framing the shot that you want. When I first started, there was a ton of frustration involved. I didn’t seek out help when I should have… but you can! These are available in Seattle, San Diego, Houston, Atlanta, Tampa, New York City and Minneapolis on 7/28 and 10/20. They are half-day excursions that will give you the chance to work with pro photographers and Camera Experience Shop experts. You will be a part of 4 individual photo shoots. You’ll test & try an array of different lenses & accessories to truly understand what’s possible with modern photography (Where was this when I was starting out?!). Learn to think like a pro and walk away with some amazing photos. At the end of the day in addition to lunch, you’ll walk away with a BIG BONUS, a bag of camera goodies! If you decide to share your photos on social media with the #BestBuyPhotoWorkshops you’ll be entered to win Best Buy gift cards or a dream photography package! The events only cost $50, but you will make this up with all the giveaways, lunch, transportation, and an invaluable opportunity to work with professional photographers! I know a lot of people don’t think of themselves as intermediate, so there are also Free In-Store Photography Workshops for Beginners. If you want to improve your photo skills, but you’re not quite ready for the Tours, start with a free in-store photography workshop! They’re only 2 hours long and will cover the photography basics. It will also allow you some 1:1 interaction with the Best Buy Camera Experience Shop Experts who can walk you through your camera’s settings. Thanks to Best Buy’s Camera Experience Shop, all of this, is possible. It’s like visiting a specialty camera store, but right in the middle of your local Best Buy! They have expert people in the form of our Camera Experience Shop Experts who not only go through intensive photography training themselves but are all photo enthusiasts. There’s also an expanded array of cameras, lenses and every accessory that you won’t find in other locations. And the best part is that you can get hands-on with all the cameras, test and try them in the store. Once you’re done, take the next step into the upcoming Photography Workshop Tours on 10/20 and 1/19. You can sign-up to be notified when these go live for registration in the fall/winter.